Need a degree but short on time and money? Check out New Mexico’s list of best community colleges by alumni and graduates’ salaries. 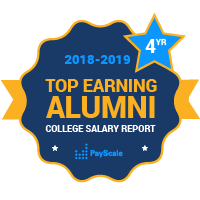 Our hope is that this report is used as an extremely instructive tool, not only to help you find the college that you were looking for, but also discovering the ones that can actually earn you the best salaries after college. In large part our study digs into median salary data, as well as job satisfaction, and several other factors — all of which play into discovering what truly makes the best junior colleges in New Mexico. Among the best community colleges in New Mexico by earning potential is Central New Mexico Community College, a public school with roughly 30,000 students enrolled. Many CNMCC alumni say that their jobs make the world a better place, and understandably: of those who earn their associates degree, many graduates will go on to become either a Nurse, Preschool Teacher, Mammographer, Administrative Assistant, or even Accountant. Overall, students rank themselves highly satisfied with their jobs. For students in the Land of Enchantment, it’s safe to say that CNMCC sets the standard for the best career colleges in New Mexico.